Straight from the Horse's mouth It's rare to find a book from someone who is willing to share their own backsliding experiences and also talk about how backsliding experiences can be eternally significant. In this book you will find; Hope and help for anyone who has backsliding tendencies. How to recognize and overcome the lies and wiles the enemy uses to get you to turn away from God. 16 Biblical tools you can use to help keep you from backsliding. God's great love for backsliders and how he reaches out to them. Steps 'you' can do that will help you return to God if you are backsliding. 44 Practical but powerful Keys that every person with backsliding tendencies can access whenever they need them. 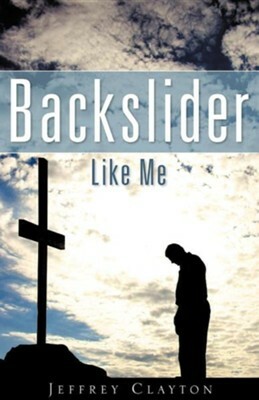 "In Backslider Like Me Jeff Clayton uses his own life story to describe how a believer can drift from Christ and how God's pursuing grace can bring glorious restoration. Jeff brings Biblical balance and practical application to this controversial subject. In so doing, he provides a path of restoration and gives hope to the wayward." Todd Hudnall - Senior Pastor, Radiant Church, Colorado Springs, Colorado, and author of Big God in a Little City Jeffrey Clayton was saved as a teenager, was baptized in water, and later received the Baptism of the Holy Spirit. He has coached church softball teams, helped in tape and technology ministries, and taught a Sunday school class. However, off and on over three decades, he was also one of the worst backsliders. When he wasn't backsliding and sometimes when he was, he attended some of the best churches and Christian teaching in the U.S. He believes that God heard his cry and picked him up out of his backsliding to tell his story. Backslider Like Me is that story. I'm the author/artist and I want to review Backslider Like Me.